The Sidharth Malhotra and Sonakshi Sinha starring movie Ittefaq has hit the screens this Friday, on the 3rd November 2017. On the same day, Hollywood's hit franchise film, Thor: Ragnarok starring Chris Hemsworth also has hit the screens on the same day in India. Now the opening day collection of the film has come out and it is surely a shocking for the Bollywood film Ittefaq. According to the trade analyst Taran Adarsh tweets, the Karan Johar produced film Ittefaq has collected 4.05 crores on Friday and it has started with a low note at the box office. 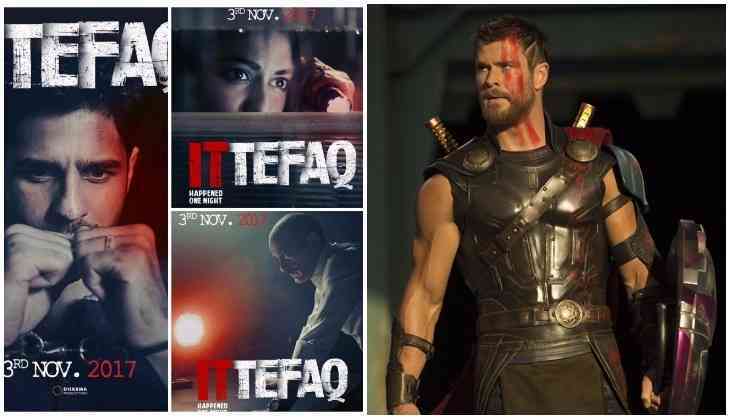 On the other hand, Chris Hemsworth starring Thor: Ragnarok has collected the film 7.73 crores on its opening day and that shows this film has got much audience than Sidharth Malhotra's Ittefaq. #ThorRagnarok has one of the best starts for Hollywood films in India... Fri ₹ 7.73 cr Nett. GrossBOC: ₹ 9.91 cr. India biz. #Ittefaq started slow, but picked up towards evening... Sat + Sun biz growth crucial... Fri ₹ 4.05 cr. India biz. However, it is clear that the film Thor: Ragnarok has got a good audience just because of the popularity of Thor series and Chris Hemsworth. On the other hand, the makers of Ittefaq has not promoted the film on a grand scale. The reason why Ittefaq makers didn't promote the film on a grand scale because the makers didn't want to reveal the secret and mystery behind the film. This is to notice that Sidharth Malhotra, Sonakshi Sinha, and Akshaye Khanna starring film Ittefaq is a remake of 1963 released film Yash Chopra directorial Rajesh Khanna starring Ittefaq. However, the grandson of BR Chopra, Abhay Chopra has made this film with a new twist and intrigued turns and this time the director also has changed the concept of the film. Now it has to see the film Ittefaq will get the benefit on the weekend. Can marine bacteria produce greenhouse gas?